Greater Flamingos (Phoenicopterus roseus) feeding in lake at sunrise at Ras Al Khor Wildlife Sanctuary (Ramsar site), with the Dubai skyline in the background and the first rays of the sun catching the Burj Khalifa (the world's tallest building at 829.8m). 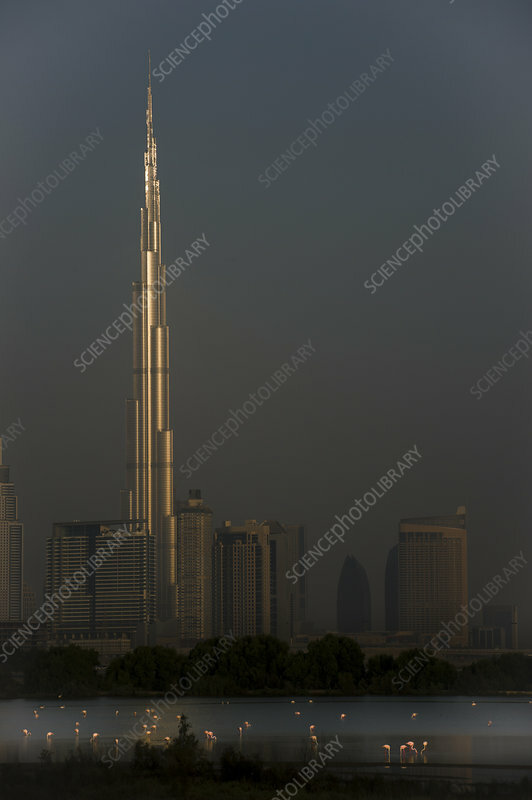 Dubai, United Arab Emirates. April 2013.